Will you be the next Peirce Idol? Sign up today to audition to sing at Commencement 2012! It’s that time again … time to find our next Peirce Idol! For the third year, we’re going straight to our student body to find the singer who will perform the national anthem at Peirce Commencement 2012. Do you think you have what it takes to become Peirce Idol 2012? Here’s your chance -- audition times are now being scheduled! 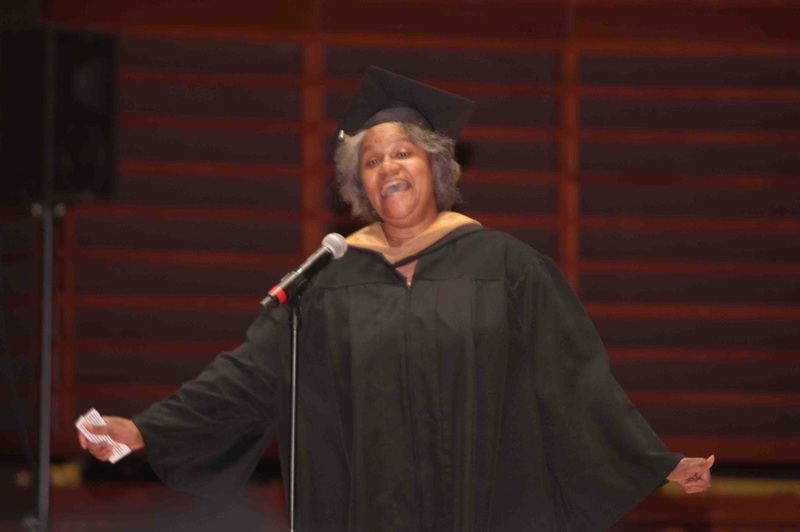 On Wednesday, April 25 and Thursday, April 26, Peirce College will audition students to sing the national anthem at Commencement on Monday, June 11. If you’d like to share your talent with this year’s graduating students and their families, email us with your name and phone number. A member of the Peirce Idol search team will contact you to schedule an audition date and time. Auditions are held on campus before a panel of judges composed of Peirce faculty and staff. Please note that tryouts will be video recorded so that your peers can watch, listen, and vote to choose their Peirce Idol of Commencement 2012. More details about where to watch the audition video and the voting process will be coming soon here on the blog, so stay tuned! Start warming up your vocal chords and make sure to sign up by April 20 to reserve your chance to compete! Our Peirce Idol competition has turned up great talent over the past few years. If you’re thinking of auditioning, you can catch the 2010 and 2011 auditions here on our blog in case you missed them. The winner of Peirce Idol 2010 was Raymond DeShields, a married father of three pursuing his degree in Business Administration from Peirce. Our Commencement 2011 vocalist was Morraye Berrios, also a Business Administration student. They both gave us memorable performances, and it is always a special experience to have one of our own step up to sing the national anthem!